If you’ve already decided to wear the traditional veil, let’s take a look at their styles in this comprehensive guide to wedding veils! One tier flyaway wedding veil. After the dress, the veil is something that most defines you as a bride. Historically, the bridal veil was used to protect the bride from evil spirits. Today’s brides can choose the type of veil they want or, no veil at all. Still, it’s important to understand that the veil is only an accessory, and as such is only a part of your whole appearance. You should consider how it fits with your dress, with the shape of your face and body, your hairstyle and your wedding venue. All of these factors need to be taken into consideration when choosing your veil: length, width, color, number of layers and decor. Read on for helpful information on how to choose the perfect bridal veil for your wedding. Wedding dresses have a variety of different styles, and they need a veil to match. There are four basic wedding veil styles: classic, romantic, sophisticated and eclectic. Classic wedding veils are formal, symmetrical and sometimes have a lot of detail. Romantic wedding veils have an element of softness and generally incorporate a lot of detail. Sophisticated bridal veils are discreet, free of ornate detail. The eclectic veils are creative with unexpected details. 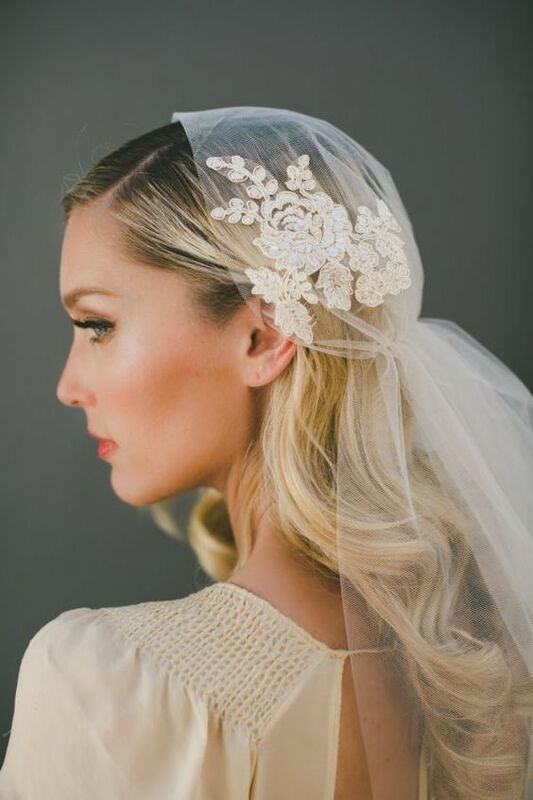 Wedding veils guide to style: Bridal caps by EricaElizabethDesign. If your dress is classic and romantic, the bridal veil may be embroidered or have lace detail that highlights and complements the dress. On the other hand, if you have chosen a more modern, sophisticated dress or one with an elaborate fabric, go for a more subdued and simple veil. Let the dress be the protagonist. The choice of hairstyle plays an important role in determining what type of veil to have. 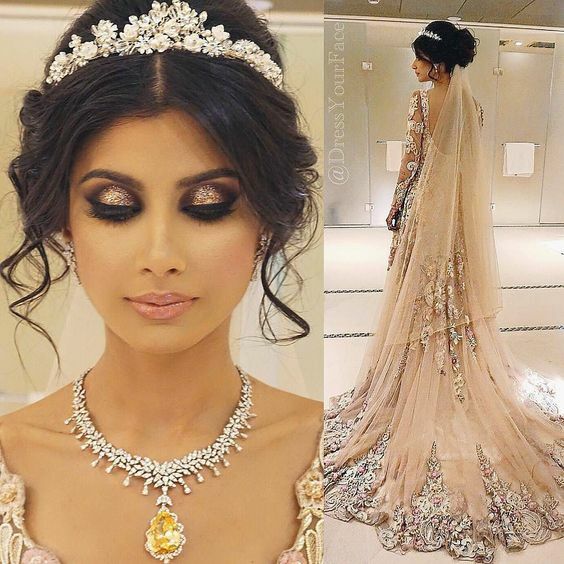 A heavy hair accessory, a long veil or a one with several layers needs an updo hairstyle. A half up, half down updo will do well with moderate weights and lengths. If you want to wear all your hair down, it’s probably best to wear short or light veil designs. You also need to consider where on your head the veil will be placed. Some hairstyles go well with a veil that fastens to the front of the head. Others look good with a veil that is fastened to the back. A half-up hairstyle offers the best of both worlds- you get the look of lush and romantic curls. Pair it with a fingertip veil. Wide veils usually need be fastened towards the forehead. 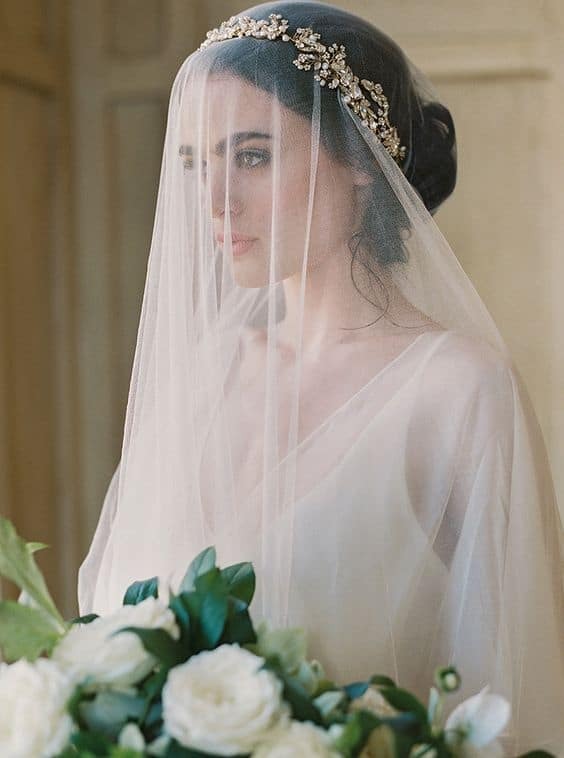 Your veil can be fastened with a comb or pins, or be combined with a tiara, a crown or headband. It is advisable to buy the veil well in advance so you can try it on with the hairstyle you have chosen. Most veils work well with down hairstyles. 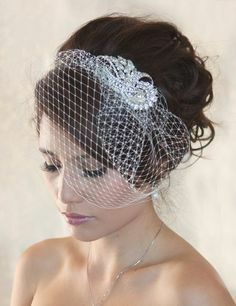 But if you’re planning on a more elaborate hairstyle, choose a thin or sheer veil that won’t completely hide your hair. Choose medium-length or long wedding veils for a high updo. If you plan on wearing your hair loose or a low updo, the wedding veil must be shorter. If your hair is long and your hairstyle very elaborate and you want to show it off, go for a long veil tied underneath it. Wedding veils guide: How to choose the perfect bridal veil for your hairstyle. 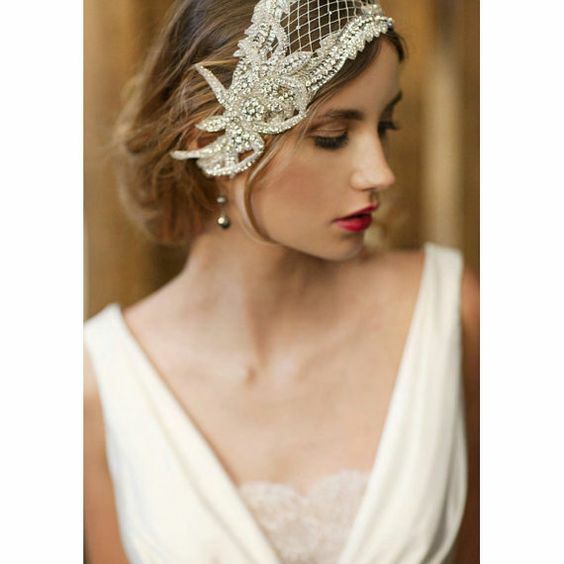 A timeless 1920s wedding headpiece by EricaElizabethDesign. 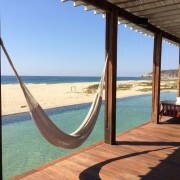 The veil has the ability to help correct your body proportions. If you have a large chest or stomach, a long veil will be more flattering as it will make you look taller. Pear-shaped women tend to look better in a veil that falls on the shoulder, elbows or the waist. These lengths draw attention to the smallest parts of your body, instead of the width of your hips. Plus-size women should ideally wear a single layer veil to avoid adding more volume to the body. 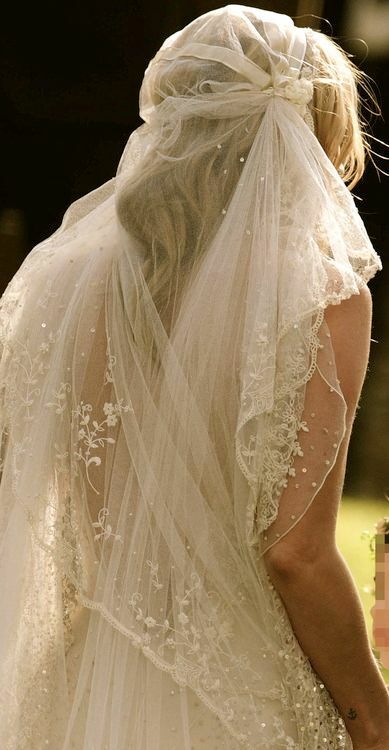 Tall women can wear longer veils, and short women will look better with a veil that falls at the waist or above. Choose the right veil for your body type. 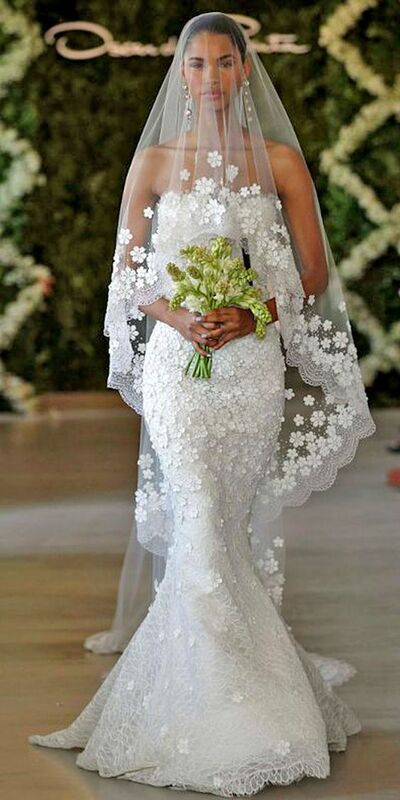 Floral applique wedding dresses and bridal veils are so feminine, elegant and also in trend for this year – Oscar de la Renta. Vintage french bridal alencon lace mantilla cathedral veil in ivory. 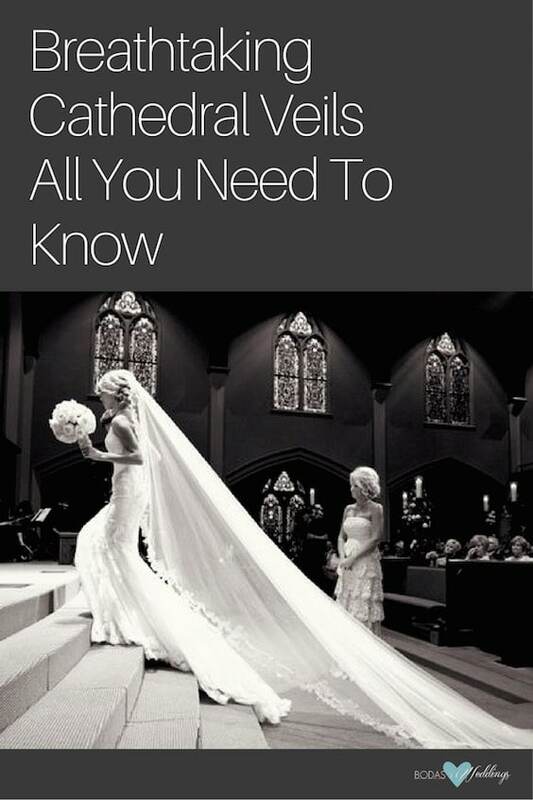 There are seven main lengths: Birdcage, Flyaway, Elbow, Waltz, Fingertip, Chapel and Cathedral wedding veils. Let’s get to know them. There’s a special sort of romance that settles in with a birdcage veil. Photography by Petter Karlstrom. A fly-away veil falls at or below the shoulders, and it’s another great option for vintage brides or for short wedding dresses. Compared to birdcage veils, fly-away veils make a bigger statement and offer more volume. Veils that reach the shoulders fit well with dresses that have detail on the bust, hips or lower back. However, they are often too informal to wear with classic or formal dresses. Its length falls to the elbows or below. It’s super flattering to a woman’s figure because it highlights the waist and it goes well with all wedding gowns. Elbow veils can go well with a romantic dress, because they end where the skirt begins. It is a very versatile wedding veil and you will feel elegant and beautiful, no matter what hairstyle you choose for the big day. Elbow length veil by Smitten Photography. You get a beautiful flow from a fingertip veil, so it will undoubtedly look gorgeous in your pictures and while walking down the aisle. No wonder it’s one of the most popular bridal veils. Keep in mind that it’s unlikely you’ll be keeping this on all night, since the length will interfere with hugging friends and family. These wedding veils go well with most dresses with no train. Short legged brides or those with round figures should avoid these veils though, as wearing one would make their figure look even shorter or fuller. We’ve collected different types of veils to adorn your wedding day look. The waltz veil definitely adds a touch of drama with its fluid fall. This length falls below the knee but above your ankle. It isn’t as commonly worn as the other veils, which makes it a bit unique! 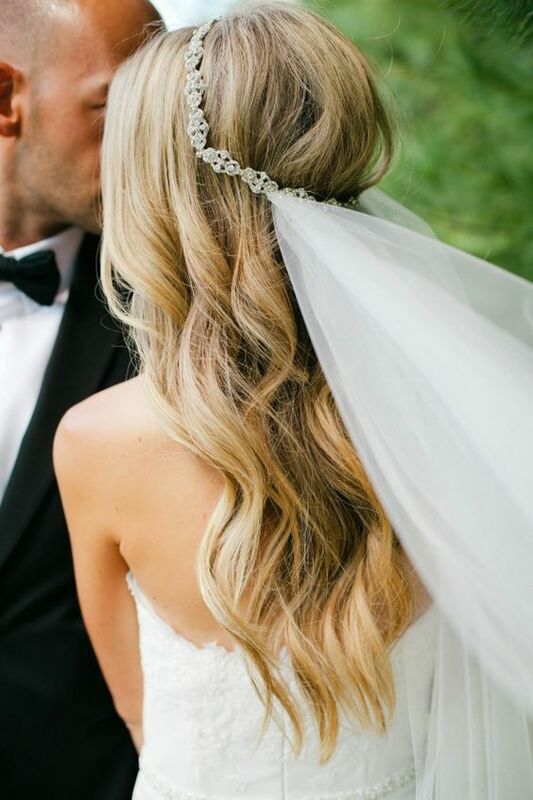 Waltz or ballerina veil paired with a gorgeous wedding hairstyle. 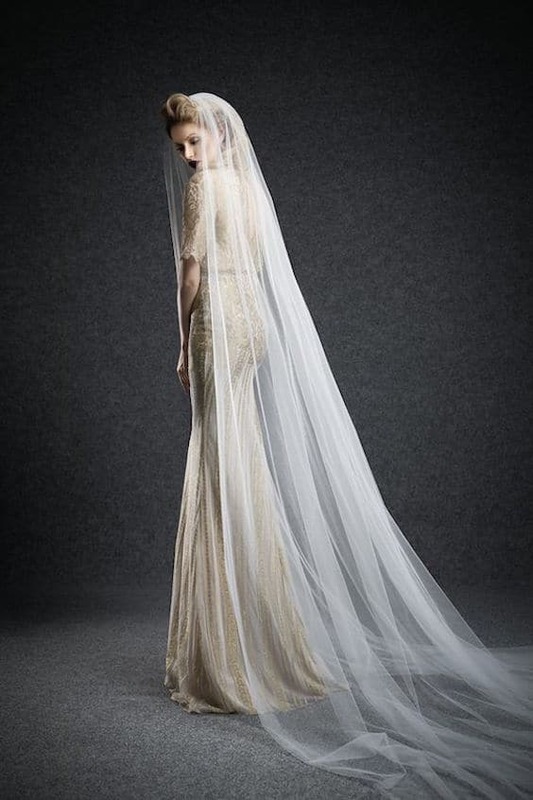 This veil is a bit longer than the wedding gown, and is ideal for wearing with updos and a short train. It is traditionally used in formal or religious weddings, as its length fits most venues without overwhelming the place. Make sure it’s a few inches longer than the dress. 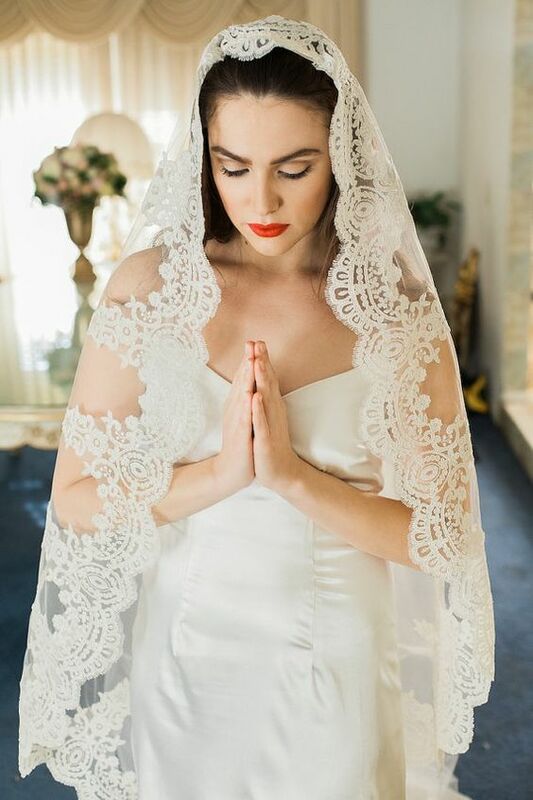 The chapel veil is perfect for brides with round shaped faces, because the fall slims down their facial features. The cathedral veil, one of the favorites worn by nobility and often seen at extremely pompous and formal weddings, should be at least 20 centimeters longer than the train of the dress. They can extend up to 9 feet and look great with classic long dresses with trains. It is delicate and will add sophistication to your wedding dress. Brides with square faces can opt for this type of veil, since its shape will soften the lines of the face. You can add some volume on top to bring attention to the hairstyle. The cathedral veil is impressive if the wedding is at a large church with lots of guests. Cathedral veil by Shady Zeineldine couture 2016. Silk cathedral wedding veil with Swarovski crystals and rhinestone pencil edge with blusher. The blusher veil usually covers the entire face of a bride and falls around the shoulders. This veil is commonly paired with a long veil and used during the most conservative ceremonies. At the beginning of the ceremony, the person walking the bride down the aisle (often the father of the bride) lifts the blusher veil to reveal the face of the bride. 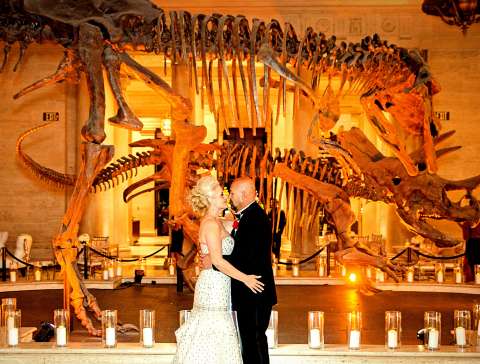 Or at the end of a ceremony, the groom pulls it back before kissing the bride. If you want to wear a blusher veil you need to pair it with a layered veil that enables the flipping of the blusher veil over your face or towards the back of your head before the first kiss. If you want to add volume to your upper torso or if your face is small or long, wear a short blusher veil. Otherwise, choose a longer blusher veil. The blusher veil usually covers the entire face of a bride and falls around the shoulders. This veil is commonly paired with a long veil and used during the most conservative ceremonies. 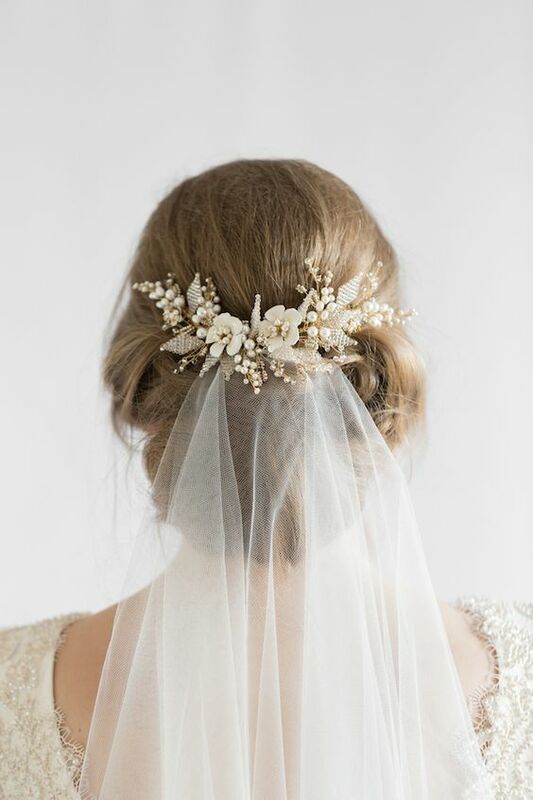 This is a very beautiful, romantic and vintage bridal veil. What is different about this veil is that it forms a cap that attaches to the head of the bride and then falls back. This style is most suited to a 20’s or 30’s wedding theme. Wedding veil with Juliette cap by John Galliano made for Kate Moss. 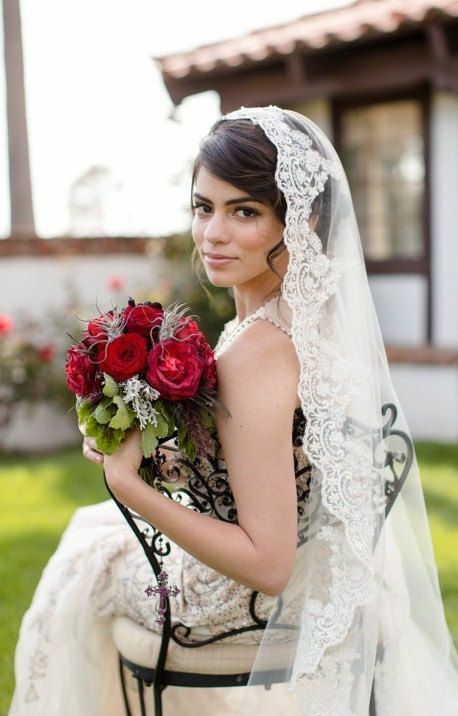 Of Spanish origin, the mantilla veil often falls to the elbows in a circular shape. They are attached to the head through a buckle and leave the face exposed, so it is very flattering for brides with triangle-shaped features. They give a unique romantic touch and are often embroidered or have very detailed work. They are ideal to enhance a simple dress, and for those brides looking for originality. 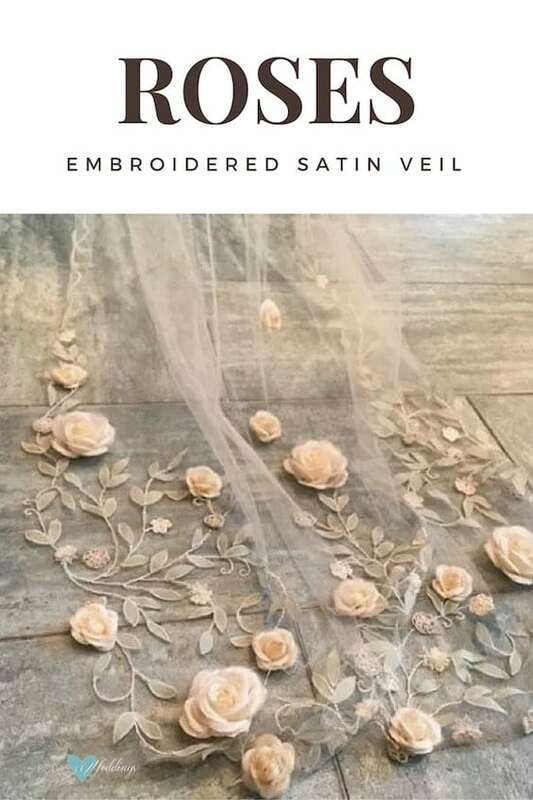 This veil is usually crafted in tulle or lace. Its style is very similar to Spanish dresses with details on the edge, or subtly embroidered appliques. The mantilla can be attached in a variety of ways depending on the bride’s preference. Today, stylists can recreate real wonders and all kinds of “retro” looks, combining it with vintage jewelry pieces, brooches, combs or “peinetas” and hair combs or tiaras. 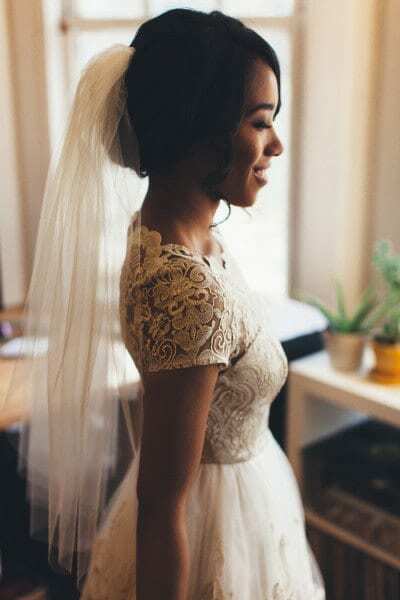 Beaded lace veil in fingertip length Spanish wedding veil. You can choose a veil with one, two or three layers! The choice depends mainly on the style of the dress. Single layer veils go great with a sophisticated dress style, but romantic dresses benefit from two and three layer wedding veils. Classic gowns also need at least a two layered veil. Veils with more than one layer look best with a simple hairdo. 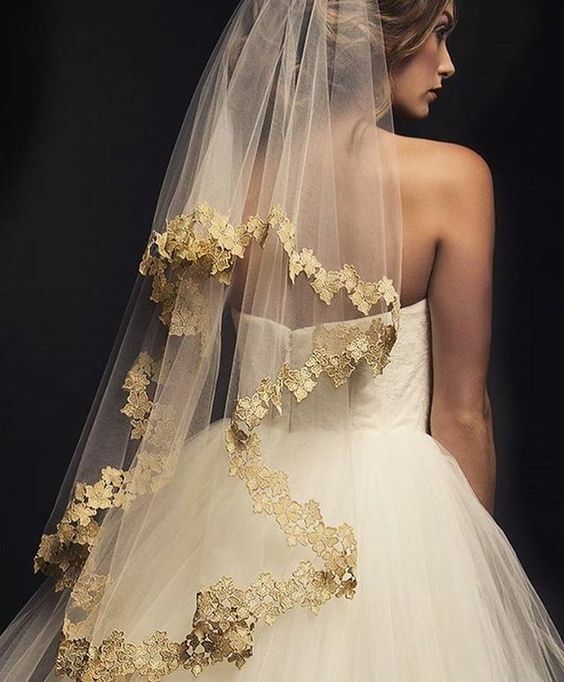 Fingertip gold lace trimmed veil with blusher from arieljennifertaub. The veil should follow the design of your dress. So you must first choose the dress before deciding between the types of wedding veils. 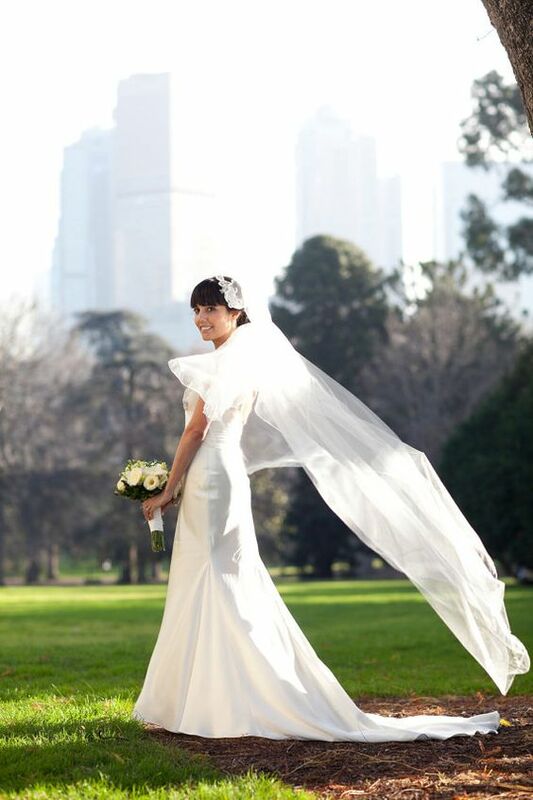 You can wear a very long veil for the religious ceremony and switch to a shorter one for the reception. You’ll look taller and more elegant if you don’t show any bare skin between the veil and the dress. 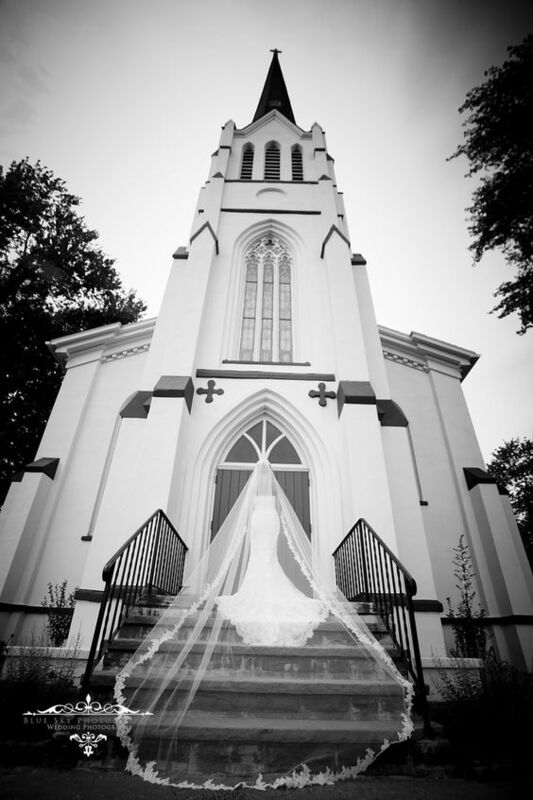 If your ceremony is taking place in a large church, consider a dramatic, cathedral veil. On the other hand, if you’re getting married outdoors, it’s best to opt for a veil that’s shorter in length. This will prevent the veil from blowing too much or even flying away. Always remember that whatever wedding veil design you choose, this accessory should fit your style. 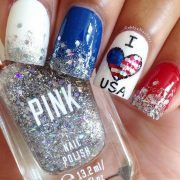 Pick yours, and dazzle your guests with your look! Cathedral bridal veil. Its border matches the fabric of the wedding dress. Chapel veil Naeem Khan bridal fall 2016. Beautiful bride photo! 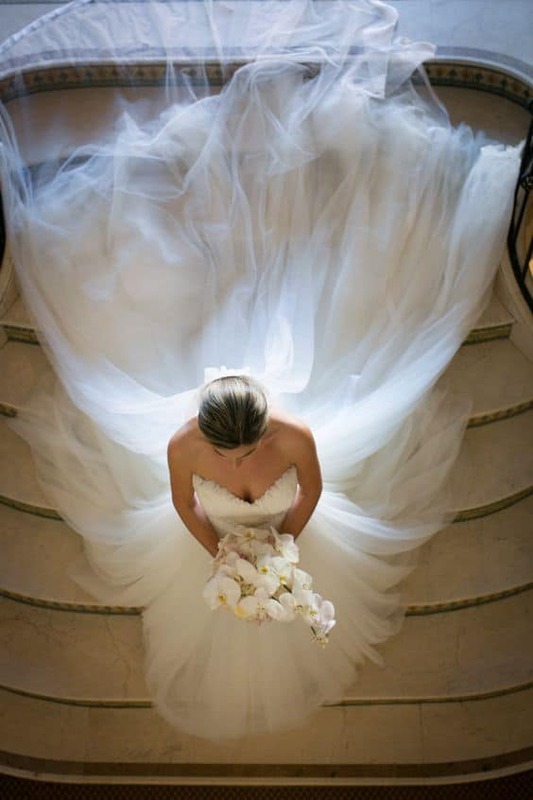 Love the tulle train and long veil. Breathtaking Cathedral Veils: All You Need To Know. Cathedral veil with Ersa Atelier wedding dress. Fingertip veil with blusher. 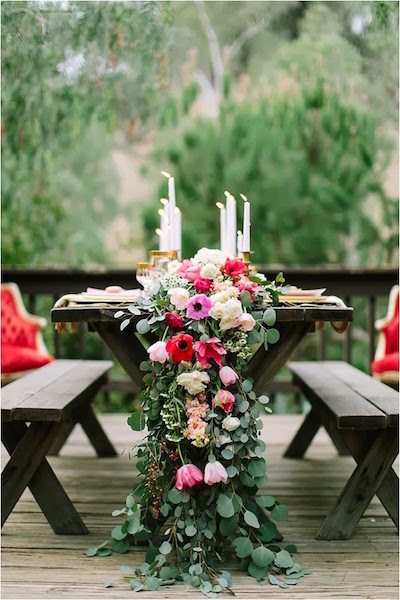 Dreamy Mountain Lodge wedding in fuchsia and mint. 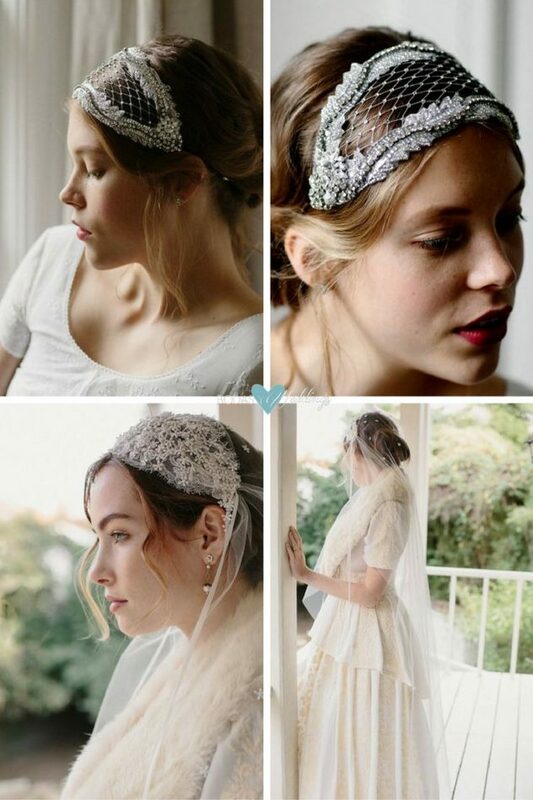 This hair comb is a charming piece to frame your hairdo and attach the flyaway veil. 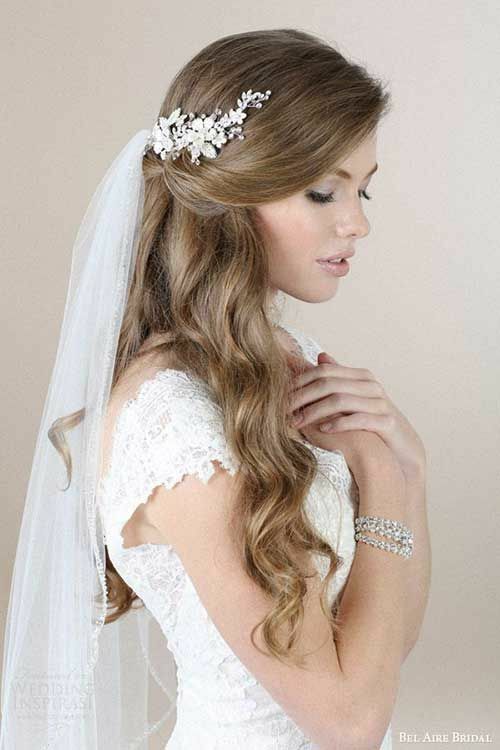 Casual, yet elegant hairstyle and bridal veil. Handmade Juliet cap out of champagne-colored illusion tulle. 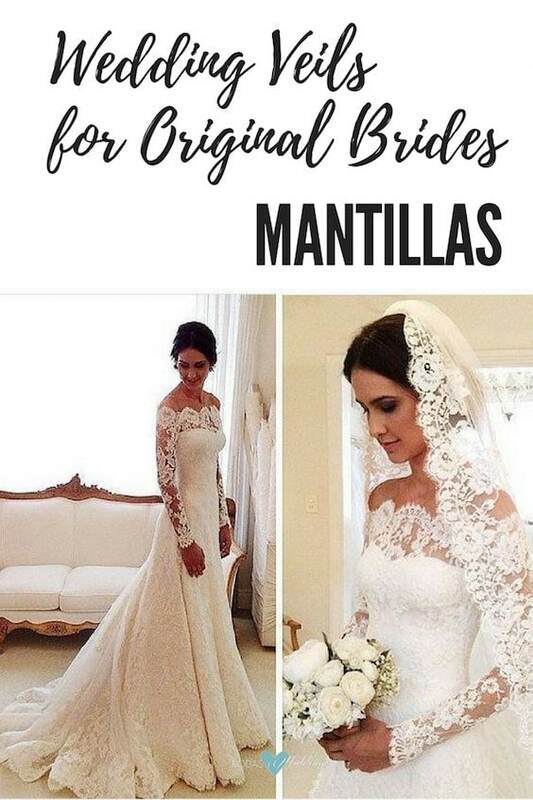 Mantilla Bridal Veil: Wedding Veils for Original Brides. Waltz or Ballerina Veils Check out the wedding veils we have picked so far! White satin roses pinned to an embroidered veil. Las 90 Mejores Canciones para Bodas ¡Crea Tu Playlist Ya! 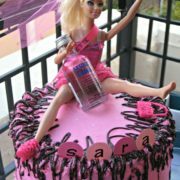 Las Bodas Gitanas, sus Tradiciones y Rituales ¡Oda a la Celebración!